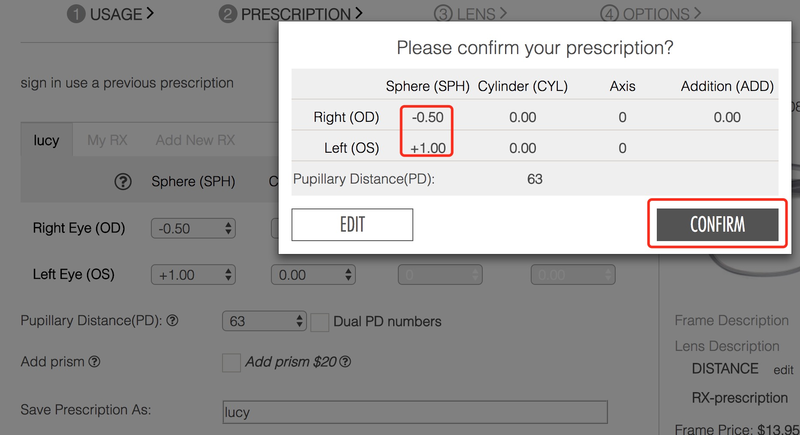 Add your prescription and select your lenses. Our quality lenses with SPH ( 200, 175, 150, 125, 100, 75, 50, 0, -50, -75, -100, 125, -150, -175, -200 ) are free. Free quality single vision lenses apply only to SPH ( ±50 ~ ±200), ±25 not include. The numbers you see such as: 1.50, 1.56, 1.61, 1.67, or 1.74 refer to the index (degree) of refraction the lens provides. This means how much the light that enters the lens is refracted (bent) as it passes through the lens. How to choose from available lenses index? We offer lenses with different index. The higher the prescription, the thinner and lighter the lens recommended. 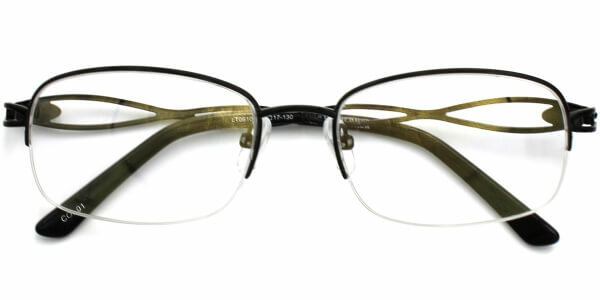 Thinner Lenses (1.56 Middle Index lens)-Work with Low-to-moderate prescriptions of SPH (0 to ±4.0) and CYL (0 to ±2.0). If your prescription exceeds this range, we recommend you to upgrade your lens index. Super Thin Lenses (1.61 High Index lens)-It is suitable for prescriptions of SPH ( ±4.0 to ±6.0 ), CYL(0 to ±2.0). Meet people’s require for thin and light lenses. Ultra Thin Lenses (High Index 1.67)- These lenses are suitable for prescriptions of SPH ( ±6.0 to ±8.0), CYL (0 to ±3.0). 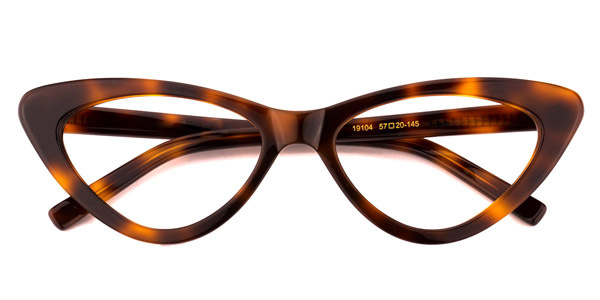 Meet people’s require for much thinner and lighter lenses. What is Single Vision Lens? What is Far Distance Lens? What is Mid Distance Lens? What is Reading Lens? 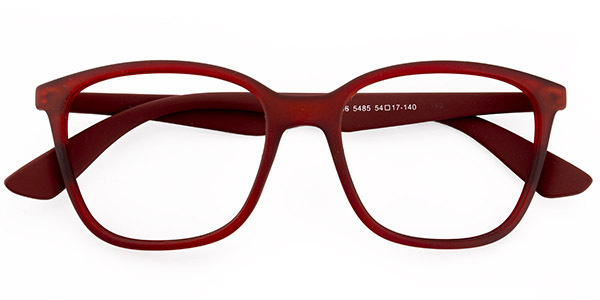 Single Vision Lens: are standard prescription eyeglasses. These glasses only have one viewing area throughout the entire lens and the correctional area can be for far distance, mid distance or reading. Mid Distance Lens: If you mostly need these glasses to work before computer or something else at arm’s length. How do i enter my rx, one eye is far sighted and the other is near sighted. Simply press the button "CONFIRM"
What are Bifocal Lenses (with a line)? Bifocal Lenses with a Line: bifocal lenses have two points of focus. A small portion of the lens is reserved for the near-vision correction. The rest of the lens is usually for a distance correction. How are bifocal and free-form progressive lenses divided? Progressives provide a smooth transition from distance through intermediate to near, with all the in-between corrections included as well. You can look up to see anything in the distance, look ahead to view your computer in the intermediate zone, and drop your gaze downward to read and do fine work comfortably in the close zone. That’s to say, progressive lenses are the closest to how natural vision is that you can get in a pair of prescription eyeglasses. Photochromic lenses are specially treated to turn dark when exposed to UV light. When the lenses are out of the sunlight, they become clear again. This feature offers great comfort to wearers. Photochromic lenses come with anti-reflective, anti-scratch, and 100% UV protection coatings. Tint Lenses are colored lenses and opposed to the changeable photochromic ones, the colors remain constant all the time. Tints are available on our glasses with the following colors: green, brown, grey, blue and purple (available 50% and 80%). Light tints are used primarily for fashion purposes to enhance a wearer's looks. Darker tints allow the wearer to use the lenses as sunglasses. Do you want a tint to make your glasses dark sunglasses? Then go with a standard 80 percent tint. If you just want a light tint, as a fashion statement or for eyestrain, go with a 50 percent tint. A 50% tint, in brown or purple, reduces eyestrain and is good for activities requiring visual contrast. A 50% purple tint is recommended for people sensitive to light, especially people who get migraine headaches. To clean your lenses, simply rinse them with a mild dish soap and lukewarm water, and dry them with a soft cloth. For day-to-day cleaning of light smudges, a few swipes of the glasses cloth included in your case should do the trick. Please be careful to avoid using hot water on your lenses (especially if they are high-index lenses), as they can develop bubbles or cracks when exposed to high heat. All our lenses (except polarized lenses which come with Anti-Scratch and Full UV Protection coating) come with Anti-Glare, Anti-Scratch Coating and full UV Protection coating that are free. What are the coatings available with Leopituqe? Sorry, we are unable to sell lenses independent of their frame. What material is used in your lenses? Our standard 1.56 and below lenses are made from polycarbonate, which are far thinner and lighter than traditional plastic (CR-39) or glass lenses. Polycarbonate is the most impact-resistant material available and offers 100% UV protection. For stronger prescriptions or customers wanting thinner lenses, we offer 1.67 polyurethane optical and prescription sun lenses. These are thinner and lighter than our standard lenses. Our polycarbonate and polyurethane lenses are ultra durable, but we still add an anti-scratch coating to reinforce the protection at no additional cost to you.